The very successful Fashion Rocks the East County, which raised money for scholarships for the Miss La Mesa and Miss Santee Pageants the past two years, is back and bigger than ever. This year the event, which takes place on Sunday, August 14, has a new name – Rockin’ SD County Fashion – and new partner pageants. But the goal is the same – to provide money so local winners can continue their education. Last year the event raised $3200 and has a goal of exceeding $5000 this time around. Joining the Miss La Mesa and Miss Santee Pageants are the Miss San Diego, Miss Greater San Diego, and Miss San Diego Cities Pageants. Alexandra Kuty, an organizer of the La Mesa, Santee and San Diego Cities competitions, expects the increased reach of the additional pageants will help bring in more donations, participants, and attendees. The event takes place in the La Mesa Community Services Arbor Room beginning at 6:00 p.m. 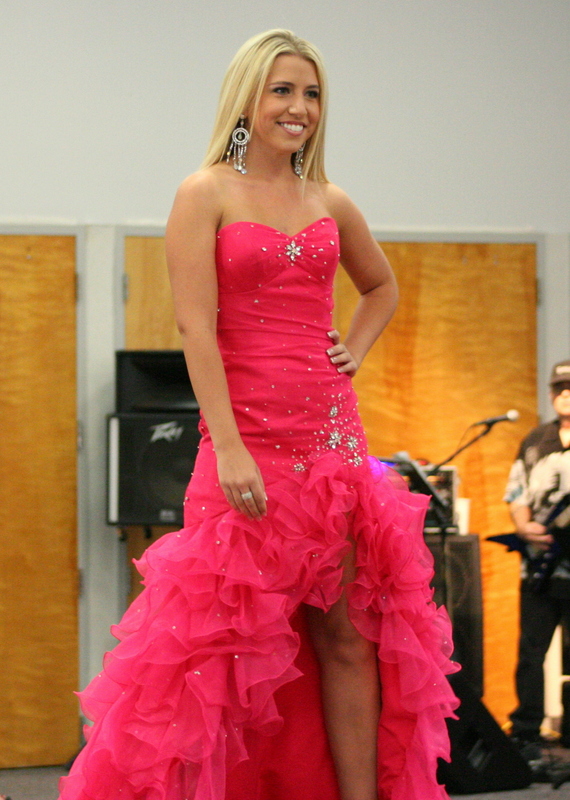 The first Fashion Rocks the East show took place in 2009 and was the brainchild of then-Miss Santee Sierra Billock, who wanted to help future winners to have the same opportunities she had. Miss Billock continues to be involved in the organization of the shows, in addition to pursuing her career in business marketing and running for additional titles. Also heavily involved in the project is Troy Hartpence, who is currently director of the Miss Santee Pageant and helps with the La Mesa and Miss San Diego Cities events as well. “All of the proceeds will go back into giving the 2012 contestants and titleholders scholarship money to further their education,” explains Ms. Hartpence. Katie Martin, who received a $1000 scholarship as Miss La Mesa this year, says of the pageants, “It’s a wonderful platform to promote causes that are important to you and with the help of our fundraisers it’s also a great way to award the titleholders with much needed funds for education. This year Old Navy (Santee) and Be Beauty Boutique (Little Italy) have already confirmed their participation in the show, with past and present titleholders modeling some of their offerings. In the past Act II, PreVue, and Sara’s Selections have also provided fashions for the show. 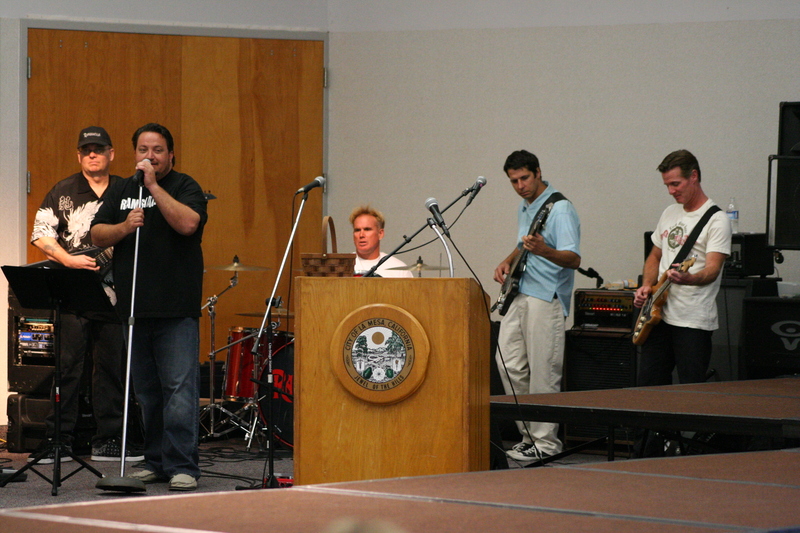 As in the past, the Santee-based band Ramshackle will provide musical entertainment and accompaniment to the event. The show is open to the public, with tickets $10 in advance or $20 at the door, and includes a silent auction and dessert reception in addition to the fashion show. The show is looking for additional donations for the silent auction, and any other assistance or support is welcome. For more information, to donate items for the silent auction, or to purchase tickets contact Alexandra Kuty at 619-518-2777 or email at MissSDCitiesPageant@yahoo.com. 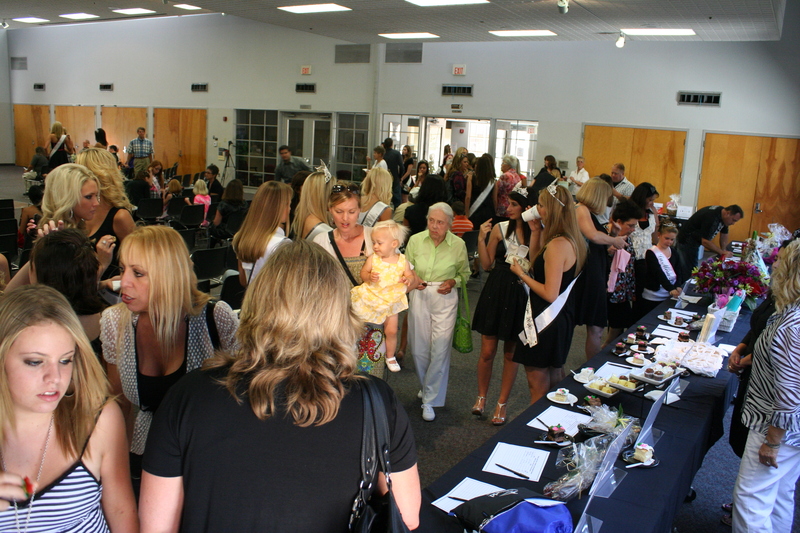 The second annual Fashion Rocks the East fundraiser for the Miss La Mesa and Miss Santee Pageants drew an enthusiastic crowd to the La Mesa Community Center on Sunday, August 8, 2010. About 50 models, most either current or former Pageant contestants, showed off donated outfits from shops from La Mesa and Santee. A big “Thank You” goes out to Act II, PreVue, and Sara’s Selections in La Mesa and Rue 21 and Old Navy in Santee for all of their support. Thank you as well to all the other businesses and individuals that supported the event by donating to the silent auction. All together over $3,300 was raised to support the Pageant scholarship programs. Sierra Billock, 2009 Miss Santee and currently a contestant for Miss California-USA, was the driving force behind this event. Last year she decided that a fashion show would be an excellent way to showcase local businesses, support the Miss La Mesa/Miss Santee Pageants, and help provide future Pageant winners with scholarships. She knew going in that it would be a challenge, particularly in this difficult economy, but with the support of the Pageant directors and the community the first Fashion Rocks the East came off smoothly. This year was even more successful, and Miss Billock hopes that it continues to grow over the years. With her enthusiasm and dedication, there should be no doubt about it. Enjoy a few pictures from the Second Annual Fashion Rocks the East. Check back for a link to more pictures. 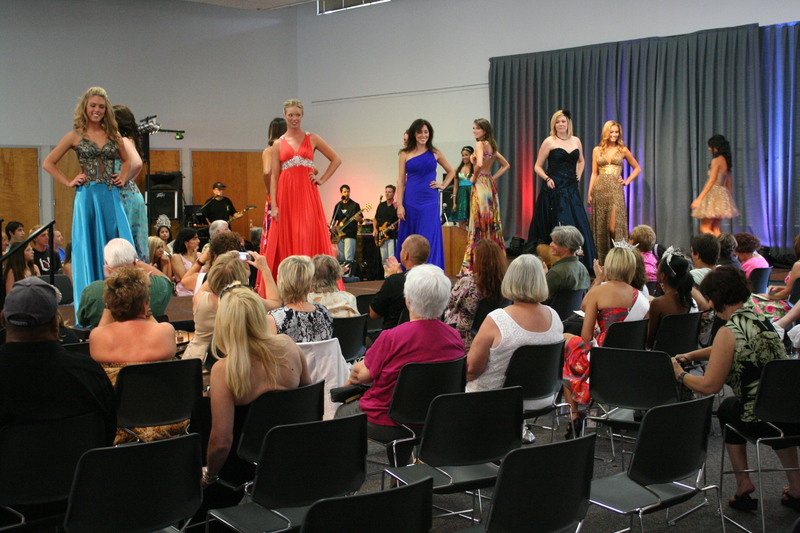 On Sunday, August 8, Fashion will once again Rock the East as the Miss La Mesa and Miss Santee Pageants present their second fashion show fund raiser. Last year the event raised over $2500 to help provide scholarships to the winners, and this year they hope to reach $4000. As before, there will be a fashion show and a silent auction with some very special items. This year the silent auction includes a Barona Moments Getaway Package and a behind-the-scenes tour of the KGTV studios. The first Fashion Rocks the East was the brainchild of 2009 Miss Santee, Sierra Billock, who is currently a contestant for the Miss California USA title. Sierra wanted to do something that would help provide future Miss La Mesa and Santee winners with suitable scholarships. The hard work and dedication of all of the directors and 2009 courts made the inaugural show a success. Now they need continued support from the communities of Santee and La Mesa to continue. Tickets for Fashion Rocks the East are $20 and can be ordered by contacting Pageant Director Alexandra Kuty at misslamesapageant@yahoo.com or at 619-698-4163. You can also check out Miss La Mesa and Miss Santee Pageant on Facebook. There is also a good article on the fashion show on East County Magazine. The fun kicks off with a dessert reception at 3:00 pm in the Arbor Room at the La Mesa Community Center. Come out and support these wonderful young ladies. 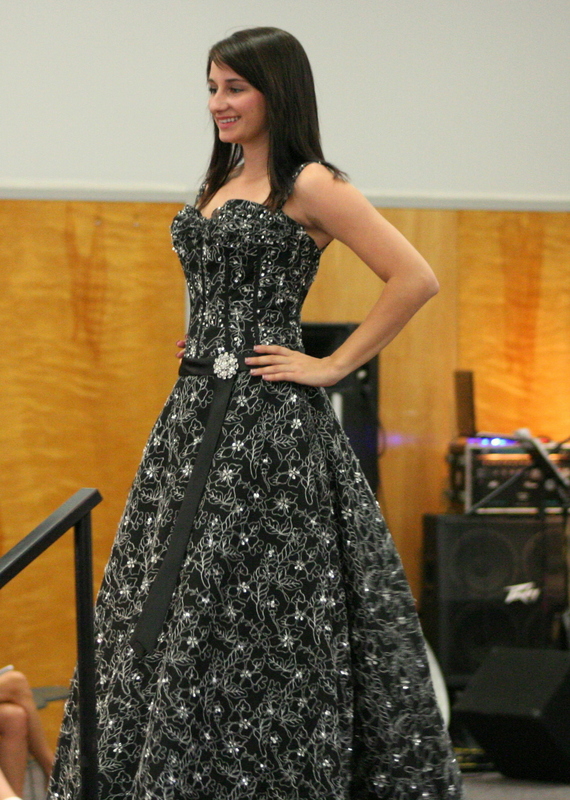 Sunday, August 9, the Arbor Room at the La Mesa Community Services complex was rocking to the music of the band Ramshackle and hot fashions provided by several East County boutiques and modeled by an enthusiastic group of current and former Miss La Mesas and Santees and their Teen counterparts. The event started at 2:00 pm with a Silent Auction, Opportunity Drawing, and Dessert Reception. Among the items up for auction were flower arrangements, jewelry, tickets to local attractions, gift baskets, a chance to be a Charger Girl for a Day, and a beautiful print of a tiger in the snow. The Opportunity Drawing was for two special necklaces, one donated by Michael’s Jewelers of Santee and the other by Golden Artistry of La Mesa. The money for these two items went to benefit Santee Santas and La Mesa’s Peter Pan Junior Theater. All other proceeds went toward the Miss La Mesa and Miss Santee scholarship funds. This was a true community effort, with support from both the La Mesa and Santee Chambers of Commerce and Mayors Art Madrid (La Mesa) and Randy Voepel (Santee). Many of the businesses providing auction items or desserts were also from the East County. Outfits for the show were provided by Sara’s Selections, Old Navy(Santee), Act II, Sentimental Fashions, Girls Fashionably Late, and PreVue– all from La Mesa, El Cajon, and Santee. Even the band Ramshackle is based in Santee. The day was hosted by current Miss Santees and La Mesas, Sierra Billock and Stephanie Packard, and their Miss Teens, Nicole Ehlke (Santee) and Katarina Schweitzer (La Mesa). 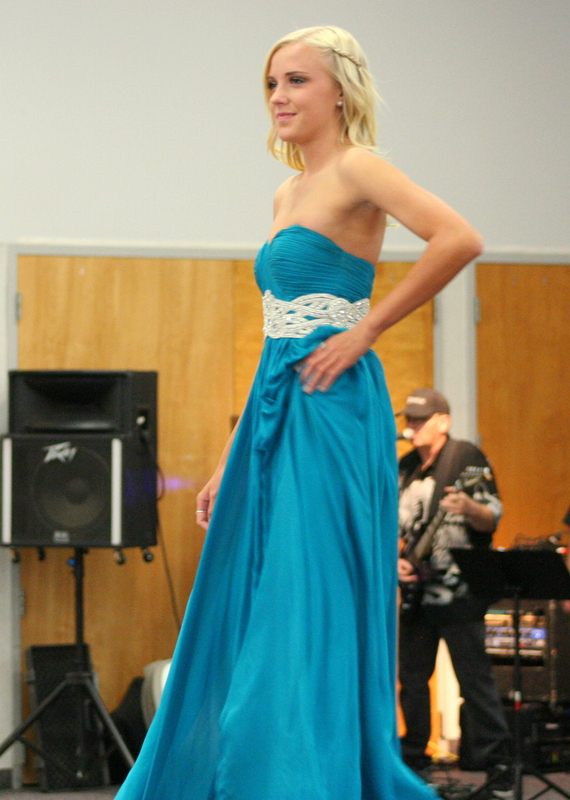 Sierra Billock was also one of the minds behind the idea of a fund raising fashion show and the special fund drawing that went to support Santee Santas and Peter Pan Theater. The pageants are fortunate to have such an active, enthusiastic representative. Another major player in the event was Alexandra Kuty, the Pageant Producer and a former Miss La Mesa (2000). Congratulations to all involved for a great job. For over 40 years young women have been vying for the titles of Miss Santee and Miss La Mesa, and more recently Miss Santee Teen and Miss La Mesa Teen. More than just a “beauty” pageant, these contests provide the young women who become spokespersons for the two cities at civic functions around the county. I have had the opportunity to meet and work with several of the winners and runners up for Miss Santee and Miss Santee Teen, and have found them to be bright, outgoing, and excellent representatives of the city. In this time of a declining economy, keeping the double pageant funded (Miss Santee and Miss La Mesa are crowned during the same event) has become more difficult. In order to continue providing scholarships for the winners of the pageants, the Pageant organizers have put together the first annual fashion show fundraiser (Fashion Rocks the East). This event will take place on Sunday, August 9, at the La Mesa Community Services Arbor Room at 4975 Memorial Drive in MacArthur Park, and will include a silent auction along with the fashion show. Models will include former contestants from past pageants, and I have heard that our own Mayor Randy Voepel (The Hardest Working Man in Santee) might take a turn on the runway. Escorting some of the young ladies, no doubt. If you would like to help support this event and the scholarship fund, tickets are $20 and can be ordered ahead by calling Pageant Director Alexandra Kuty at 619-698-4163 or email her at misslamesapageant@yahoo.com. The tickets are first come, first served, so you might want to order ahead since there is not telling how many might be left at the door the day of the event. You are also welcome to help sponsor or donate to the event. In addition, they will be collecting used gowns to be donated to the Friends of Scott Organization, which holds a special prom every year for teen cancer patients. There will also be a special auction of a gemstone necklace donated by Michael’s Jewelers with proceeds going to Santee Santas. If you are interested in mailing in your ticket order, you can send me a message and I can email you a copy of the order form.